An interview with Dr. William F. Pepper, Esq., on his four decade long investigation into the assassination of the Martin Luther King, Jr., and his third book on the subject, The Plot to Kill King: The Truth Behind the Assassination of Martin Luther King, Jr. This interview was conducted by Dan Dicks of PressForTruth.ca on March 10, 2018, in New York. The Plot to Kill King: The Truth Behind the Assassination of Martin Luther King, Jr.
That whole spitting thing bothers me. That slurping sound is what authority really sounds like. JimBob who don’t have any problems with real authority figures; just those that tell him they are his authority figures without giving me no good reason to care what they think. I always like hearing from Dr. Pepper, good people don’t stand by when evil tries to steal their neighbor’s grill. And he’s good people. I think that the state, corporations and NGO’s are all part of the same problem. My perspective is that it’s really all about money and power. Corporate lobbyists and NGO’s ride the backs of selected state representatives to keep them toeing the corporate/banker/Zionist/pro-war line – which the representatives, in large part, obviously do. It’s almost like it’s one big cancerous multi-faceted entity that basically runs the whole show. Not a lot of actual separation to be had there. Agree, ddude. The isolation of “state” or government” as THE wicked entity, without which, people will not enslave or use each other by force of violence is a dangerous illusion imo. SantaCide has a point, of course. The left demonizes “corporations” and those too are not the source of all slavery and abuse. In its worst form, it was just plunder and enslavement by powerful armed forces. My own belief is that this is all baked fairly deeply into the human being, and when humans get frightened they will almost always reach for structures like these. Every attempt to get rid of government or the state will either need to get rid of the family and tribe ideas in us, (an inhuman brutality of one kind) or will end up with weaker families and tribes enslaved by stronger ones (an inhuman brutality of another). Evidence? Almost all of human history. Corporations originated as agreements between powerful peoples to join forces against less powerful and divide the spoils. The state has mostly just adjudicated disputes over dividing spoils and losses between the participants. Sometimes though, for various reasons, (mostly not “moral” in nature) the state will limit the power of the corporation, as in the abolition of slavery. Around 2013/14, I began the eye-watering work of peeling my own philosophical/religious onion. One of my most profound realizations was the power of fear, and why there are so many serious warnings against succumbing to its power liberally peppered throughout the scriptures. Can you imagine all that the world has been deprived of simply because of fear? Just pick any social topic, and see how it’s been undermined by fear’s insidious nature. On a different note and the real intent of my input here (only I didn’t want to come empty-handed), I’ve been wondering where you’ve been this last month, John.O! From numerous daily insights to a noticeable dearth. I hope you’re okay and that all is well for you and yours. Unfortunately, I think you have it backwards, although the state created by leaders of industry and commerce have worked hand-in-glove. I am the top in my field in the world, and there is no recognition. Indeed, they do not discuss me, nominate me for awards, there is no thank you to the huge sums they make from my work, and I am Independent. Where did the black-balling start? When I was under their employ, I refused to sit silently and allow people to spread lies and misinformation about anything I had gone to the trouble to figure out on my own. I was known for my opinions on 9/11 and assassinations. They tried and failed to get me out of the industry with a lie that unfortunately did not produce grounds to get rid of me. There is collusion in my industry and now I can’t even find another business who will handle mine, regardless of the fact that I am surely the top producer anywhere. And I think by far. No, do not fool yourself, the leaders of industry form policies and circle their wagons like so many fast food chains on a highway exit. But all you ever find there are businesses owned by the same chains, the same owners, who do everything they can to eliminate other options. This is the corporate world we live in. I want to ask this because I don’t know where else to ask. But is there anyone credible that is covering the Parkland shooting? It seems like both sides are generally full of crap. I generally disregard these incidents, but do admit that the little puke who thinks he is some kind of spiritual and emotional leader comes off as absolutely contrived and coached. I just get the impression that we are MEANT to find these people offensive, at the same time we are condemned for not accepting their guidance on gun control. There should be a real discussion about the threats posed by the State itself, and the very need for the populace to remain armed. Not to mention, my sister was held up at knife point, and did not have her gun with her. She was robbed and almost raped, until someone came along down the street, scattering the almost surely illegally-in-this-country gang of Mexican men. I was all for gun control as a dream… wouldn’t it be nice if there were no guns? But there are. And who has them matters. in the first place, yesterday’s documentary was important. Really one of the most important pieces of journalism in the last century. What an honor it is to be given this important information, so clearly, with no attempt to either embellish or deny the emotional power of this information. A journalist who does not let himself get in the way. For most it’s a learned skill. For people who care genuinely, it is natural. I think it’s got to be one of the best documentaries I’ve seen. 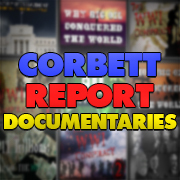 Not surprisingly, many of Corbett’s documentaries count in that list. Tremendous respect shown for the subject and the viewers and the participants, all painting the very clear picture that this is a subject that will not go away, and fits into the overall aspect of a “government” not of US. Just superb, again. A truly MUST-watch, and this is the first time I have ever written “must watch”. And finally, I hope the best forever for Mr Pepper. He is what we need. Yes, Dr. Pepper is a person worthy of our respect and gratitude for his dogged determination that truth and justice should, if not prevail, at least be given notice. A great case for a person of his knowledge, skill, and intelligence. Still, I wonder if anyone counted the times he used the words “killed”, “killer” and “killing” incorrectly, instead of “shot”, “shooter” and “shooting”, since it was he who manifested the story about the “killing” part that occurred AFTER the shooting, AND at a different location. It emphasizes the many years Pepper believed that King had died at the Lorraine. This pair of videos (see James’ other release) IMHO is a very fitting tribute to a man who was easy to admire and follow — in life and death — by those who treasure freedom. If one quarter of us worked as hard as people like King and Pepper did and as James Corbett does, working towards freedom from the many forms of oppression on our planet, it is clear to me that we would all be free very soon. Your last sentence holds significance. I’m guessing that wonderful results could be produced with even a much, much lower percentage of us actively participating on the mission of bettering conditions. But results would be quicker the more people get involved. Couldn’t agree with you more fantastic video! much respect for Dr Pepper, 1st Lawyer I have respect for. Can someone explain what a “progressive journalist” is? Because if it means “a journalist who is also a Progressive,” then that puts this man into the category referred to by the Soviets as “useful idiots,” i.e., people who will knowingly or unknowingly fight for Communist causes while being completely ignorant of the fact that they are working for their own demise. I read The Plot to Kill King. Especially gripping was the account of Glenda Grabow. The Dan Dicks interview with William F. Pepper is historic. 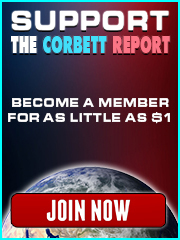 I really appreciate James Corbett for making this happen. This is a truly important Legacy. In the Dan Dicks interview, The Washington Post is mentioned. Who killed Martin Luther King Jr.? His family believes James Earl Ray was framed. I want to note that Andrew Young, Rev. Bernice A. King, and Rev. Alveda King have all made public statement opposing water fluoridation. “André Malraux : The man who co-opted the 1968 strikes and protests”. Yes, it is a rich tapestry of a puppet show, but don’t worry; the puppet masters are a bit special-edish, if you ask me. I don’t agree though that any new revelations of any long gone event is going to change anything. There’s no real emotional impact to a generation twice removed from events. Revenge really is better when it’s had time to age a bit, but justice goes bad pretty quick. but I don’t believe anyone suggested that the info would necessarily “change anything”. Did he? I think he said people might get worked up; but I don’t think so. Revenge you say? The Redneck is strong in this one!” JimBob who absolutely approves of blood feuds. People get worked up all the time. Never changes anything. Blood feuds? Great for the eugenical malthusians. Now, gonna go celebrate the Greek orthodox Easter now. A lot of soup involved I hear. And burning Judas. Revenge. Don’t forget to shoot Judas with a shotgun while he’s burning! Never went to Crete, but If they’re like the mainlanders they’ll probably adopt you! JimBob who enjoyed Greece while he was there at Thermopylae. I’m not very adoptable for obvious reasons. The NYT. Gatekeeping at its finest. Truth, Fiction and everything in between to sell the official version. Didn’t Julian entrust them with his precious dumping? Along with the rest of the Pentacle: Le Monde, El Pais, Der Spiegle and The Guardian? It’s the raki. Affects my aim. Thanks for that highly interesting opinion piece describing what National Geographic’s ready to lose in translation to gain in sensational quality. Anyhow, they must have known someone would reread the Coptic version to check. For better or worse, Judas is still being burned in Crete with the heathens downing considerable quantities of raki beforehand. I’m a little confused. I never learned what language it was in, and so the word “daimen” being used as demon was a bit of a shock. Outside of English, I only have a hideous ability to mangle Spanish. However, I do like to read the translator’s stories which preface their works. I can’t help but notice that “daimen” by George Long, whose Greek and Latin translations into English of Marcus’ Meditations meant spirit. Even other translators acknowledge his skill, so I am a bit skeptical. Oh wait, it’s the New York Times; totally believe it all now. JimBob whose Dad taught him how to read a newspaper when he was just seven years old. As mostly fiction, since he would often tell me what really did happen in that story. Just reading through the comments here, the case will likely stay shelved from the mainstream. Many good points also in the notes. I love the fact that you and Hicks working together James to get this interview with Mr. Pepper. What a treasure of information that man has. The Bobby Kennedy debacle is an equally full story; a jam packed 1968 event where Pepper holds some keys. My country has been lost for a very long time. Waking up has made for a very painful 12 year event for me! To paraphrase Talbot: JFK (read MLK, RFK) is the telltale heart beating under the floorboards of our culture. Thanks! I love Talbot. I have read three of his books. “…in fact, the government had profiled James Earl Ray, and they had effectively organized his escape, and I learned that because…the head of the Dixie mafia family, who was working with the FBI on ‘the Killing,’ drove to the prison and in the car was his [the mafia head’s] son, and they carried $25k, which they gave to the warden…to organize James’ escape. “…Raul was James’ ‘handler.’ He was the guy the government assigned to ‘handle’ James. That means to keep tabs on him and have him ready to be in the right spot of the right time…and did this. and the material might of Corporate (especially Bankster) power and wealth (fully protected by corporate-lobbyist-written tax-loopholes; the largest corporations often paying zero taxes (no matter how much money they make), and many even get back subsidies!). Mix into that organized crime networks (now fully integrated into government systems), powerful secret societies, and the mainstream corporate media (which William Pepper and Dan Dicks also cover in this interview), and you have a pretty complete picture of how our society (the NWO) works. I hope everyone buys WFP’s newest book – let’s make it a NYT’s best seller (if the NYT’s would actually acknowledge that!). More highlights I feel the need to quote! The last fifteen minutes are mostly off-topic from the MLK assassination itself, but are equally fascinating and contextual. Either segment would make this one of the most important interviews of the past century. And as always, the world is paradox and irony. The Skripal Affair is a Hoax. If Russia is “No Longer to Blame”, What Next? Robert F. Kennedy Jr. told The Washington Post he walked away from a prison meeting with Sirhan Sirhan not believing he killed his father.